EY’s Africa attractiveness survey for 2015, published last month, provides some valuable insights. Even as the number of foreign direct investment projects in Africa fell from 2013 to 2014, capital investments and job numbers surged. 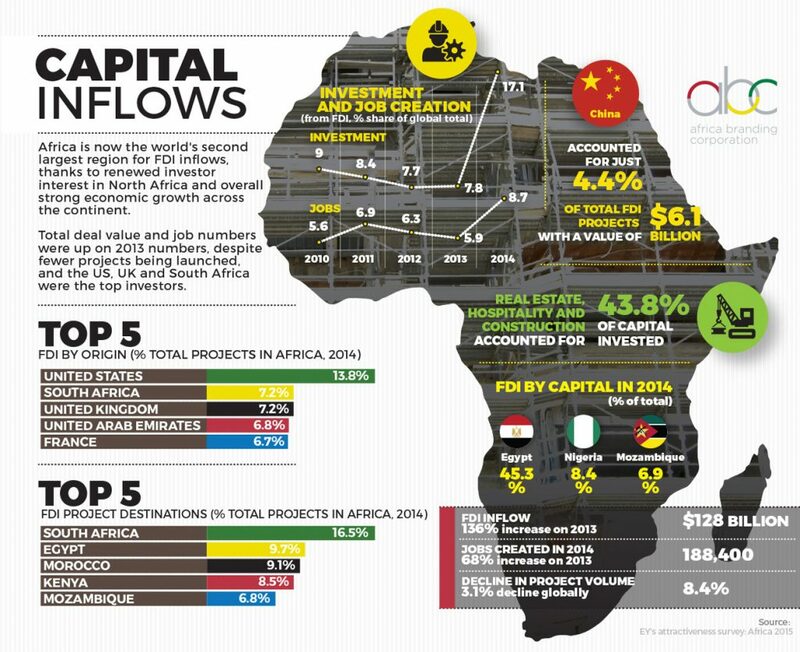 North Africa (led by Egypt) took a 51 percent share of the continent’s FDI capital in 2014, but South Africa had the highest project volume for the year. Two trends with huge influence on socio-economic activity in Africa – urbanization and a growing consumer class – are also influencing FDI figures, according to EY’s research. Three major consumer sectors (technology/media/telecoms, consumer products/retail and financial services) accounted for 51.8 percent of Africa’s total number of projects in 2014. The Africa Rising narrative, said the report’s authors, is “intact and sustainable”. The rise of the African consumer is a big part of that story.